The cast and crew of "The Big Bang Theory," along with creator Chuck Lorre, paid tribute to "Star Trek" icon Leonard Nimoy at the very end of Thursday's episode. The show closed with a photo of the late actor accompanied by the phrase: "The impact you had on our show and on our lives is everlasting." 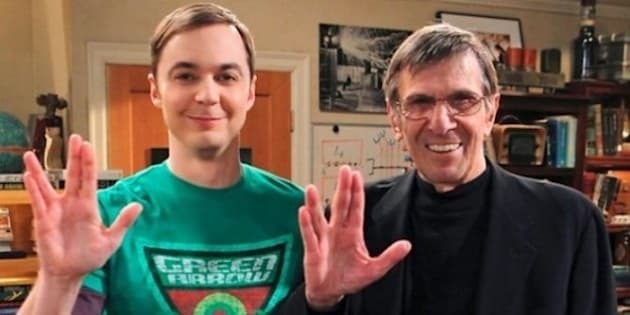 Nimoy never appeared on "Big Bang," but he did provide his telltale voice in an episode, giving a voice to a Mr. Spock action figure owned by Sheldon (played by Jim Parsons). Nimoy died last Friday at the age of 83.